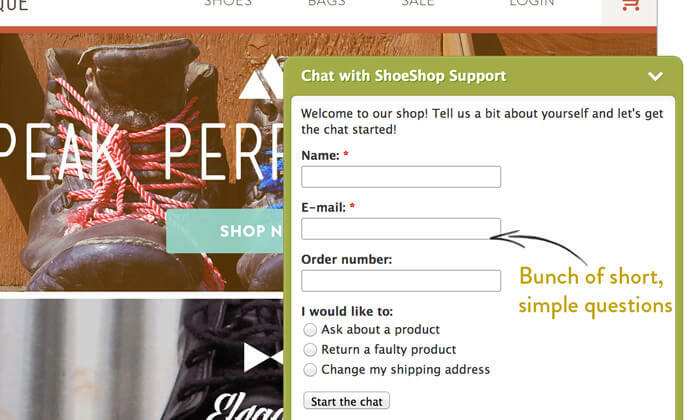 Pre-chat surveys play an important role in helping your customers. It is your first opportunity to get some information about a client. You need to make the pre-chat survey questions count. Surveys help you to get to know your customers. By customizing them, you can significantly improve your responses and boost case resolution. We’ve looked at almost 4,000 businesses using both the custom and default surveys. Here’s what we found out. 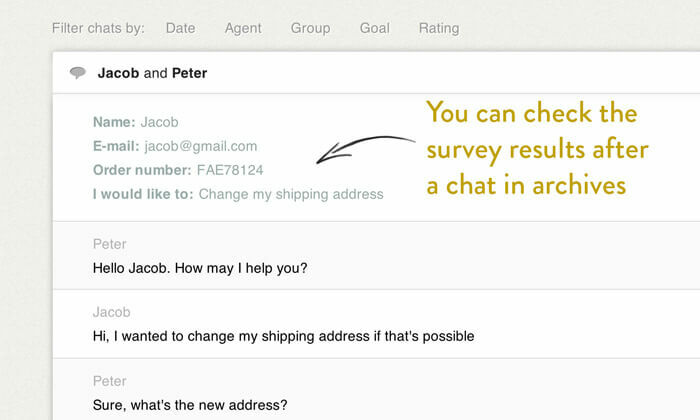 Properly set up pre-chat surveys can give you a ton of extra information you’d have to ask for otherwise. You can get the customer’s name, email, customer number, order ID – you name it. Using custom surveys, your clients can also get in touch with a particular department immediately. You can add an option to your survey that will allow them to choose which department they want to contact. For example, when they want to change the address for their order, they can go straight to shipping, without jumping through any hoops. All this makes it much easier to handle cases in one touch. We discovered that companies offering a custom pre-chat survey before chat received 20% less tickets than businesses using a default survey. We were a bit surprised when we checked the average chat length for businesses using custom pre-chat surveys. It would seem logical that, when there is more information available, cases can be resolved faster and the chats should be shorter. We noticed that an average chat after a survey was about 45 seconds longer. This is only a slight, 5% increase when compared to the default surveys. Still, if there is more information available, shouldn’t the chats be shorter? When coupled with the number of created tickets (20% less with customized pre-chat survey), it seems that the chats are more meaningful. When you have all the information available, more can be achieved. This is just an assumption, but think about it. Instead of a shorter chat that leads nowhere and ends up as yet another ticket, you can have a meaningful conversation. Even if it takes a bit longer, it allows you to solve a problem right away. You won’t need to create a ticket. Not all cases can be resolved in one touch. Sometimes they are simply too complex or take too long to handle via chat. This is why we also wanted to check how a custom pre-chat survey affects the resolution of the created tickets. 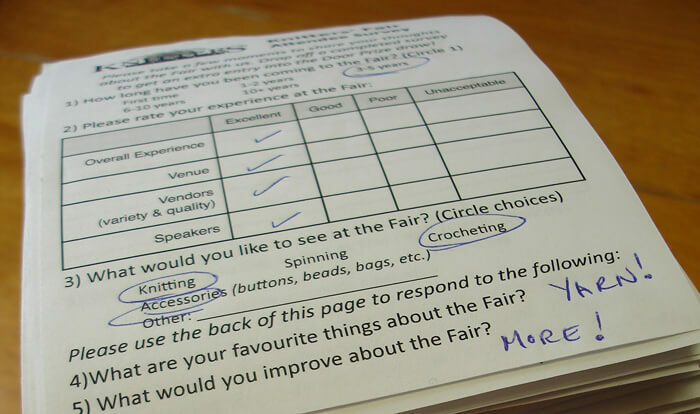 We noticed a 15% increase in ticket resolution in favor of the customized survey. Although the result were already impressive, we decided to dig a bit deeper. We got rid of the extreme examples from the equation to get a clearer picture. Both the companies that had no tickets resolved and those that had plenty of them were cast away. When we looked at the statistics again, we learned that custom pre-chat surveys were even more successful than we previously thought. The increase in ticket resolution went up to a whooping 27%, making custom pre-chat surveys the clear winner. When you handle more cases immediately, and with greater success too, it’s not hard to guess that your customers will be more satisfied. 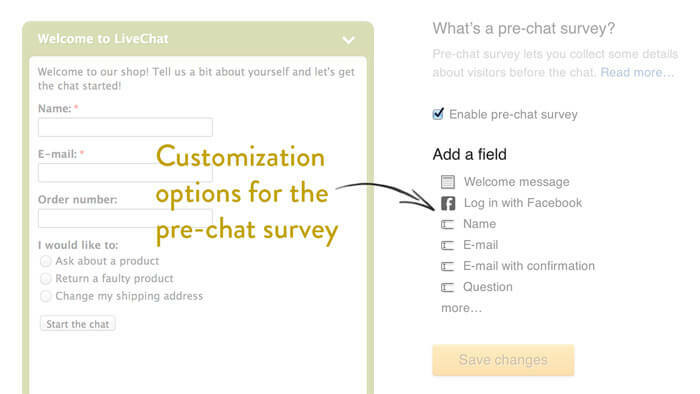 Companies customizing their pre-chat surveys got an average of 80% customer satisfaction. Those that used the default got a bit lower rate of 75%. We can’t stress enough that you should aim for the best possible customer experience. If something as simple as configuring the pre-chat survey can bring you closer to that, you shouldn’t think twice about doing it. Having all the necessary information at hand can greatly speed up and improve your customer service. In some cases, ticket creation may become completely unnecessary since everything can be handled in one touch. Other times, customers can go straight to the person that can resolve their case, without the need to receive a ticket. This is why companies using customized surveys get 20% less tickets. Although the chats after a customized survey are a bit longer (by an average of 45 seconds, 5% increase), you get more bang out of your buck. Your chats are more meaningful and more cases can be closed immediately. Pre-chat survey data makes it easier to handle a case. It also allows you to avoid a situation where you lose contact with your customer. We’ve noticed that companies using the custom pre-chats resolve 15% more cases successfully than those using default surveys. All that improvement in speed and quality of customer service shows in satisfaction ratings. As much as 80% of customers who went through a customized pre-chat survey left a positive rating. department – you can ask which department the client wants to contact. Anything that can be helpful during chats can be included in the pre-chat survey. However, remember to keep the number of questions relatively low and ask only about the most important things that are crucial to swift case resolution. The sweet spot is 4 to 5 precise questions, already including name and email. Apart from the questions, the survey should also include a short welcome message and invitation to chat. For more information, check out our article on chat surveys. If you need help setting it up, feel free to start a chat with us and we’ll get you sorted in no time! What’s more, all the information you gather is useful even after the chat ends. By setting up custom variables, you can display information about your clients directly in LiveChat, giving your agents’ more to work with when answering customers’ questions. A well customized pre-chat survey is a real gold mine of information. Set up your own custom variables to get even more out of all that extra data. Photo courtesy of The Bees.